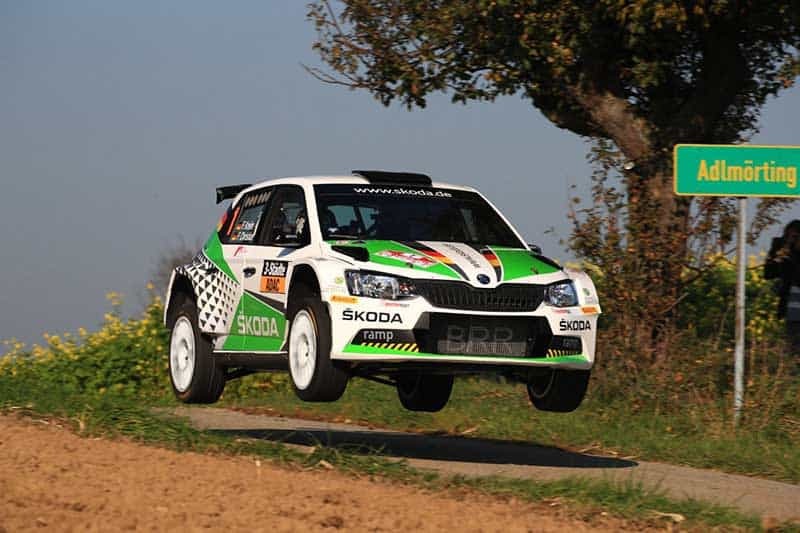 ŠKODA AUTO Deutschland’s Fabian Kreim overcame late drama to land his maiden podium in the FIA European Rally Championship – and take the runner-up spot in the ERC Junior Under 28 category for young stars in R5 cars. Having edged 9.8s ahead of José Suárez in the battle for third place on Rally Islas Canarias, Kreim checked in late for the start of the final stage after being held by a police officer on a road section while routine checks were carried out. Starting out of position and afraid his podium was about to be lost due to the possibility of a time penalty, the double German champion turned up the wick and put in a blinding final stage time, increasing his gap by 9.2s over Suárez after officials decided not to impose a time penalty. Fabian Kreim in action in 2017. “I am happy for sure,” Kreim said afterwards. 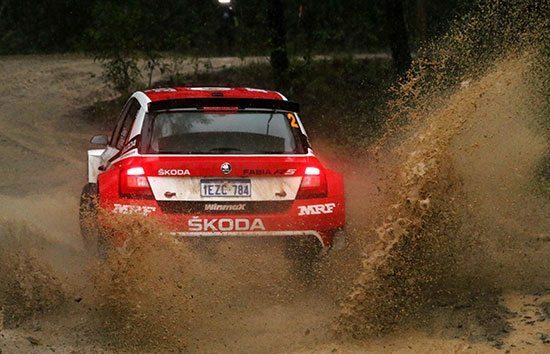 The 26 year-old Kreim competed in the 2016 Asia-Pacific Rally Championship for the MRF Tyres Skoda team and finished second in the championship to India’s Gaurav Gill. In 2017, he won the German (DRM) championship. He currently sits third in the ERC.